Nick Cannon challenged Liam Neeson to a celeb boxing match, after he addressed the actor’s controversial interview, where he admitted that he contemplated carrying out a racist revenge attack after a loved one of his was raped. Hopefully Liam Neeson, 66, tuned into The Wendy Williams Show on February 5. Nick Cannon, 38, who’s filling in as host while Wendy Williams is on hiatus due to health conditions, challenged the actor to a celebrity boxing match. 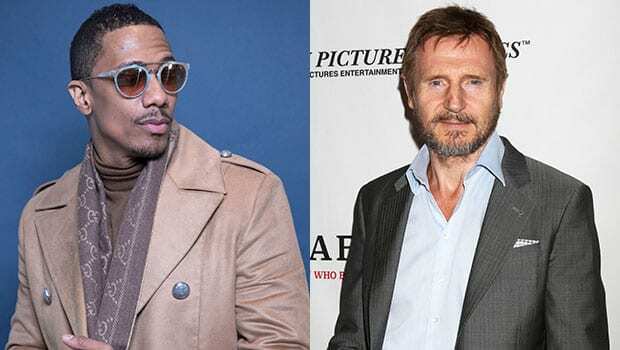 Cannon called for the fight after he addressed Neeson’s controversial interview, where he [Neeson] admitted that he thought about carrying out a racist revenge attack after someone close to him was raped. Cannon later added that the proceeds from the boxing match would be donated to the NAACP, a civil rights organization, which stands for the National Association for the Advancement of Colored People. Neeson addressed the controversy during an appearance on Good Morning America on February 5, before Wendy aired at 10 AM ET. “I’m not racist,” Neeson told GMA‘s Robin Roberts. “This was nearly 40 years ago.” Neeson, who admitted that he grew up around violence, explained the pain he experienced when he discovered his friend had been raped. “It really shocked me, this primal urge I had,” he said. “It shocked me and it hurt me. I did seek help. I went to a priest who heard my confession.” The “Taken” star said power walking for two hours a day and speaking about the situation with two friends also helped him.